Considering a tragic and important heritage. My husband is a direct descendent of Tobias Donner, the Donner brother who did not journey with the Donner Party toward its tragic fate. 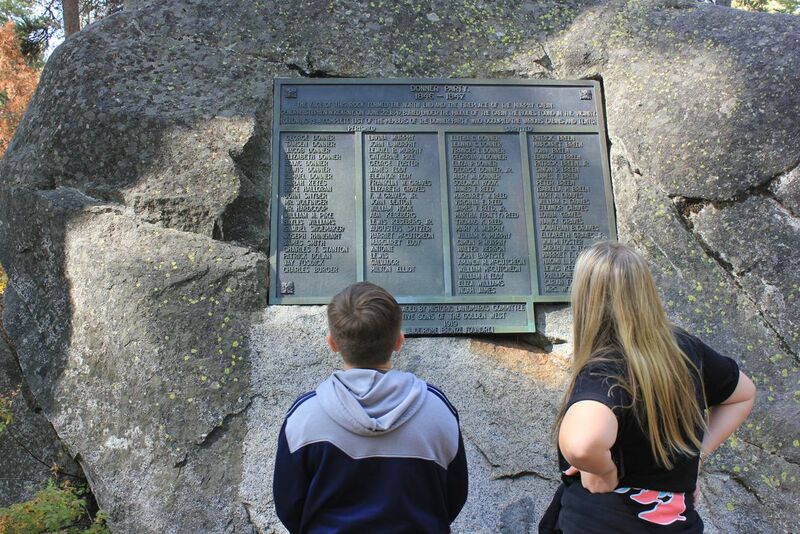 My Donner children finally saw the memorial and history that they have heard so much about when we visited Donner Memorial State Park. They are reading the names of those who perished and those who survived.